Xmas (sometimes written "X-mas") is a common abbreviation for the word "Christmas". Although sometimes pronounced "eksmas", the abbreviation springs from handwriting abbreviations for the pronunciation "Christmas"
The letter "XP" or "Xt" have been used for "Christ" as far back as 1021 AD. 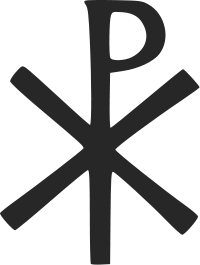 The X and P arose are the uppercase forms of the Greek letters Chi and Rho, which are used in ancient abbreviations for Christ. The "XP" or "Xt" abbreviations is known as a "Christogram".